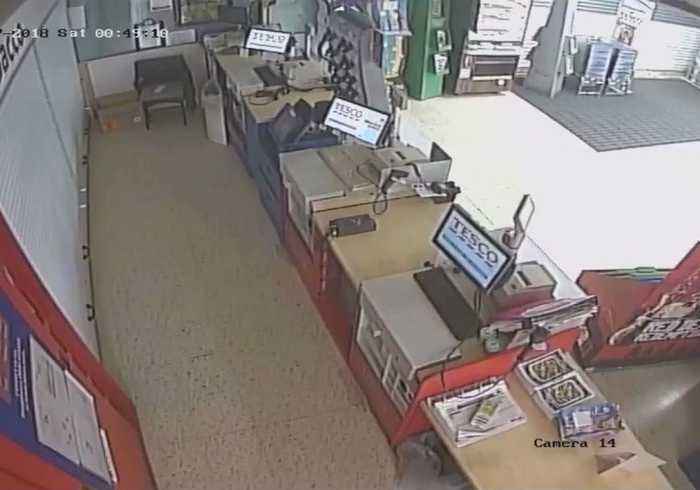 Kent police have released video showing the decisive moment that lead to the arrest of a serial burglar – a single sock left behind during a robbery at a Tesco supermarket in Strood on October 27, 2018.DNA discovered on the sock and taken from dried blood discovered on a shattered window at the scene of another offense proved essential in identifying Roy Scott, according to the police.This footage shows two suspects jumping over a Tesco counter and stealing cigarettes. Near the end of the video, a single sock can be seen on the ground as the suspects make their escape.Scott was arrested in connection with a series of robberies between August and December 2018. After police recognized the suspect, he led them on a high speed chase in Gillingham before he was detained.In court, Scott pleaded guilty to “one residential burglary, two commercial burglaries, dangerous driving and the attempted burglary of another commercial premise” and was sentenced to three years and eight months on January 21.